While global technology changes at light speed, our demand for data center space is increasing at an alarming rate. Reliability, efficiency, security and sustainability are always the focus, but the costs of ownership and leasing is substantially high, making the right financial decisions crucial. Build, buy, lease, co-locate, outsource, the cloud model, the options are endless and changing rapidly. Our Data Center Team (DCT) provides strategic advice and real estate services for data centers to occupiers, landlords, investors, and operators. We have a multi-disciplined team which advises clients of all sizes and industries. Although every client requirement is different, the level of service and professionalism you receive from our team remains the same. 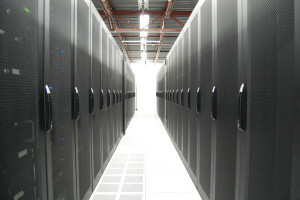 Our team includes subject matter experts who have built, manage, operate, sell and acquire complex data center facilities. The group has a unique structure ensuring consistent service across geographies and service-lines. Our expertise and experience is unmatched in the industry and includes a staff of engineers and data center designers, brokerage and marketing professionals.